1. 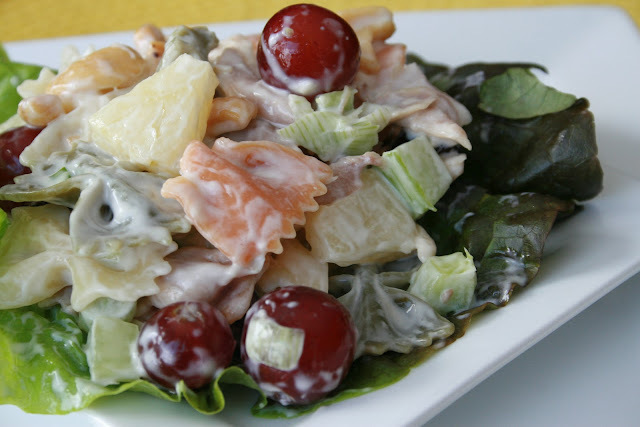 In large bowl, combine pasta, chicken, celery, cashews, cranberries, grapes, and green onions. 2. In small bowl, combine coleslaw dressing, mayonnaise, Miracle Whip and salt. 3. Add dressing mix to pasta mix and fold gently to combine. 4. Refrigerate for at least 1 hour before serving. This is one of my favorite luncheon foods. It is fabulous for dinner as well.